STACEY WOLKING is an HSLDA Toddlers To Tweens Consultant, who’s greatest joy is to offer assistance and encouragement to homeschooling parents. Now in her homeschool “retirement” years, she loves to speak at homeschool and MOPS gatherings, tutor in her favorite subjects of English, reading and writing, offers professional organizing services, helps coordinate a local homeschool support group, and is passionate about natural health and nutrition. KRISTY HORNER joined the HSLDA team of Special Needs Consultants in 2015. Her passion for homeschooling and bringing Christian education to other families, for the past 8 years, has made advocating home education a priority. She has contagious joy and enthusiasm, and enjoys reading, writing, and spending time with her family. 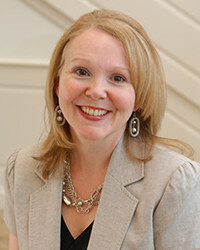 KRISA WINN holds a bachelor’s degree in Early Childhood and Elementary Education from Arkansas State University, and an associate’s degree in Practical Theology from Christ for the Nations Institute. For more than 20 years, she has been a classroom teacher in both the private Christian school and public school settings. She has also worked as a private tutor and early childhood intervention specialist. Throughout her career, she has had many opportunities to work with children with various special needs. She is fascinated by the marvelous design of the human brain, and loves helping children and parents discover the key to unlocking the door to learning. Krisa joined the HSLDA family as a Special Needs Consultant in 2012. After almost 23 years of marriage, Krisa and her husband Byron were blessed with the birth of their first child, Grace. Three years later, their second miracle baby, Karis Joy, was born. DIANE KUMMER and her husband Tom homeschooled their two children through high school graduation. During those years, Diane also coordinated events and meetings for her church’s 190-plus homeschooling families and developed a program that provided evaluation of credits, diplomas, and transcripts for high school families. Once her children went on to college, Diane helped develop HSLDA’s Homeschooling Thru High School program and website. 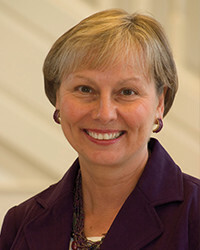 She retired from HSLDA in 2019. 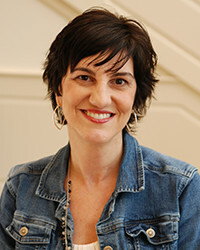 FAITH BERENS, Holding a master’s degree in reading from Shenandoah University, has 13 years of teaching experience in both public and private Christian schools, serving as a classroom teacher, Reading Recovery® teacher, reading specialist, and educational therapist. Her areas of expertise are early childhood literacy, reading assessment, and the identification and remediation of reading difficulties. Faith joined the HSLDA team of Special Needs Consultants in 2008 and now homeschools her own two children. She also works as a private educational consultant, evaluator, and tutor. Her passions include reading for pleasure, singing, traveling, nature/science, leading Bible studies, and teaching reading to primary age children. CAROL BECKER and her husband Jim homeschooled their two children from K–12 using a variety of teaching options. Both her children have graduated college (engineering major and French major), and one holds a master’s degree in Information Technology. During Carol’s homeschooling years, she established two homeschool cooperatives. The first encompassed History/Geography/Drama and served grades 2-12. With a BS and MS in Engineering, Carol also has a passion for science, which led her to form and direct and lead a small science cooperative for four years of high school science. Carol has taught all levels of high school English to homeschool students along with Algebra I & 2 and Geometry. As a High School Consultant for HSLDA, Carol relishes the opportunity to encourage and equip homeschooling mothers because they are raising the next generation of leaders. VICKI BENTLEY is married to the love of her life, Jim, who shares the adventure of raising eight daughters, fifty foster children, and doting on twenty-two wonderful grandbabies (and four great-grands…so far). She’s a popular speaker, and author of several homemaking and homeschool books. As HSLDA’s Group Services director and Toddlers to Tweens consultant (and veteran homeschool mom of 17), she counts it a privilege to serve parents by sharing practical tips and encouragement for the homeschool journey. ANELISE FARRIS, a homeschool graduate, is currently a PhD student in English at Idaho State University. Anelise received both her B.A. and M.A in English from George Mason University, as well as a Graduate Certificate in Folklore Studies. Her research interests include folklore, literature of the fantastic, comics, and children’s literature—basically, the geekier, the better. She and her husband, Michael Farris, Jr., moved from Northern Virginia to Pocatello, Idaho, in late 2015 so she could begin her studies. Animals are their only kids for now, and, even though she is not a homeschooling mom, she is a college professor with a wide-range of teaching experience. In addition to teaching, Anelise has experience bookselling and editing a literary magazine. As such, she hopes to share her insight into important works in the contemporary literary scene.